Unreported incidents on Ambergris Caye are not uncommon, but when they result in death or severe injury, there is cause for alarm. Two such incidents reportedly took place in May, but no information was provided to the public. The San Pedro Sun contacted the Police Department, who indicated that one case was listed as sudden death, while the second one went unrecorded after the victim declined to make a report. However, local police never notified the media on either incident. On Tuesday, June 1st, The San Pedro Sun received correspondence from a concerned woman who stated that on Tuesday, May 30th, she was contacted by a police officer in Belize City to identify the body of a John Doe at Karl Heusner Memorial Hospital’s (KHMH) morgue. It turned out to be her father, 56-year-old Felipe Quintanilla, a construction worker who had been living in San Pedro Town for the past ten years. She was informed that her father died on Sunday, May 28th after being on life support for ten days. According to her, it appears that Quintanilla was transferred from San Pedro with massive head trauma to the KHMH, where he died alone. It is believed that he was injured around May 19th, but the family is still looking for answers as to what may have happened. They believe that they should have been notified from when the incident took place as no one deserves to die alone. They also believe that the San Pedro Police should have attempted to investigate the circumstances surrounding his condition when found. According to the police press office, his death was ruled ‘sudden death,’ and no foul play was suspected, as there was no evidence to suggest otherwise. However, the results of the post-mortem state that there was trauma to the face, consistent with a blow or falling, which later led to multiple organ failures. Quintanilla was believed to be inebriated at the time of his demise. Police is asking anyone with information regarding this incident to visit the San Pedro Police Station or call 206-2022. Police attempted to get a report from the victim in order to put together the chain of events that led to his attack, but the caretaker refused to give a statement. Based on the extent of the grievous wounds, police implored the victim to issue a statement in order to apprehend the culprits, but the victim declined every time he was interrogated by police officers. 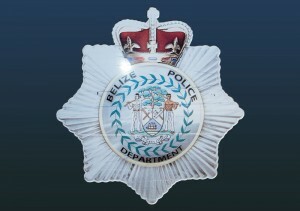 The Belize Police Department would like to advise everyone that is their duty to report any criminal activity or act of violence to the police, so that respective investigation can be done to solve an incident. They reiterated that the police is here to serve the community, and everybody’s cooperation is crucial in the successful operations of the police department. If you see a crime taking place, dial 911; confidentiality guaranteed.